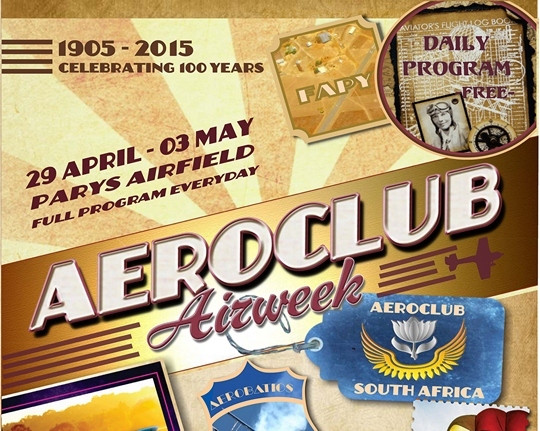 April 30 1928 - British pilot Lady Mary Bailey lands to complete a flight from England to Cape Town, South Africa. She took off on March 9th. May 1 1947 - Harold Brownlow Morgan "Micky" Martin and Edward Barnes Sismore land their De Havilland Mosquito, setting a new London-Cape Town speed record, covering a distance of 6,717 miles in 21 hours 31 min at an average speed of 279mph. May 2 2009 - Uli Dembinski, German aerobatic pilot, establish a record of 333 Loops with his Yak-55. May 2 1936 - American parachutist, Clement Joseph 'Clem' Sohn, makes his first jump in England, at Hanworth airfield near London. Unusually, Sohn attached wings to his body, which were deployed when he opened his arms and legs and allowed him to glide. May 3 1976 - A Pan Am Boeing 747 makes a record around-the-world flight, taking 1 day 22 hours. May 3 1952 - The first landing at the North Pole is made by Americans Lt. Col. William P. Benedict and Lt. Col. J. O. Fletcher on a ski-and-wheel equipped Air Force Douglas C-47. May 3 1695 - Birth of Henri Pitot, French hydraulic engineer and the inventor of the Pitot tube. May 4 1942 - (May 4-11, 1942) The Kufra tragedy occurred in May 1942 during World War II when eleven of twelve South African aircrew flying in three South African Air Force No. 15 Squadron Bristol Blenheim Mark IV aircraft died of thirst and exposure after the flight became lost following a navigational error near the oasis of Kufra in Libya and made a forced landing in the Libyan Desert. Dominican Republic: A Piper PA-32 of Sky High Aviation Services with seven abroad crashed shortly after take-off. All seven occupants, a pilot and six passengers, died in the crash. The aircraft was allegedly trying to return to the airport. Belgrade: Blamed initially on 'engine failure', it emerged that a 34-year-old French-built Falcon 50 government jet carrying Serbia's president to Italy last week was forced to turn back after the co-pilot had spilled coffee on the instrument panel. The co- pilot's licence was temporarily suspended. Israel, Ben Gurion Airport: A Boeing 737 aircraft carrying 181 passengers and crew was ordered to turn back after bits of tire were found on the runway landed safely. USA, O'Hare: A SkyWest airlines with 75 passengers on board made a nearly eight minutes long steep descend dropping as much as 7,000 feet per minute after it was discovered that three passengers had lost consciousness. A nurse on board assisted the passengers and the plane that was en-route to Connecticut landed safely at Niagara International Airport in Buffalo. Hawaii, Honolulu: A Mokulele Airlines Cessna 208 on- route from Maui to Hawai'i Island was forced to turn around and glide back to the Kahului airport after reported engine failure. The captain declared an emergency and the aircraft landed without incident. With 33,900 industry visitors from 60 countries over four days, the AERO registered a marked increase in visitor numbers. International visitors in particular generated strong momentum for the aviation show at Lake Constance: "In under 40 years, the AERO Friedrichshafen has transformed itself from a small special show for gliders into the world's most important industry trade show for general aviation," said Messe Friedrichshafen CEO Klaus Wellmann and AERO project leader Roland Bosch at the close of the show on Saturday, summing up the positive results of the event. 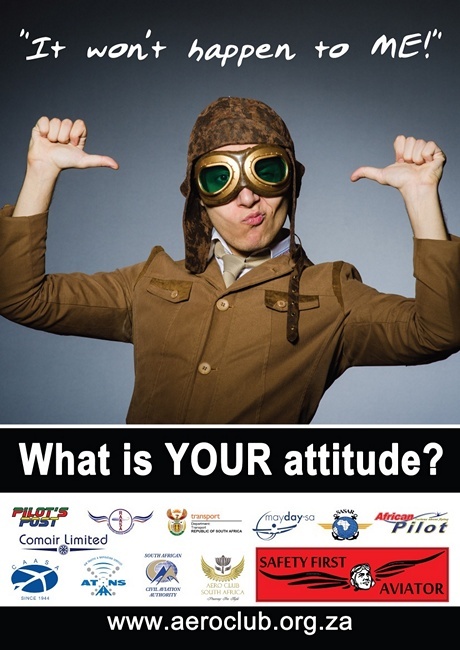 With 645 exhibitors from 38 countries, the international aviation show had already set a new record on opening day. The number of world premieres and new products that were presented at the AERO also exceeded all previous records for the event. 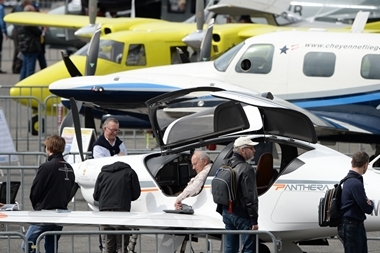 In addition to a comprehensive spectrum of products and the presence of the market's leading players, industry visitors from Germany and abroad were met with a highly specialized range of international general aviation offerings. 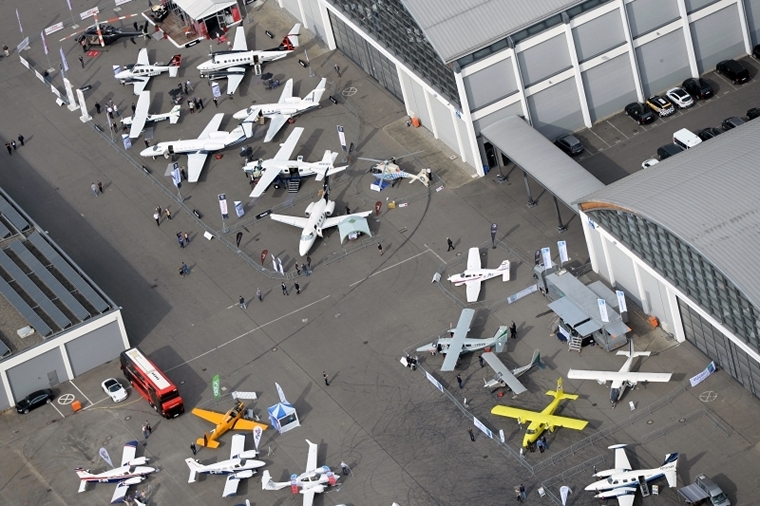 The industry meeting at Lake Constance has become an essential destination on the flight plans of aviation experts, pilots and industry media. 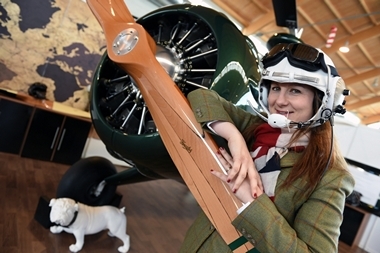 33,900 visitors from 60 countries (2014: 29,700 visitors) ensured a strong plus at the show. Media interest also grew considerably. The press center accredited about 600 journalists, half of whom came from abroad. 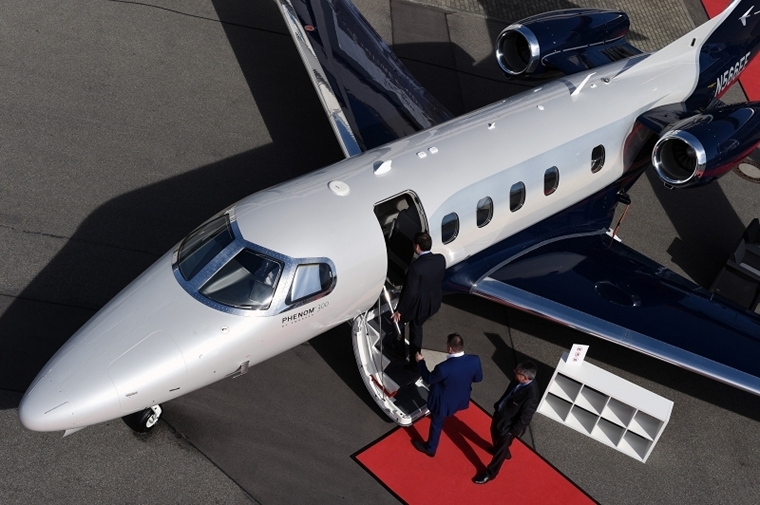 Industry and media attention was focused on new aircraft in the business jet segment, as well as ultra-lights and gliders and helicopters and drones at the RPAS expo. Electric aircraft were the focus of interest at the e-flight-expo and also got the attention of policymakers, drawing EU Commissioner Violeta Bulc and the Baden-W�rttemberg state minister of Education Winfried Hermann to visit the AERO in Friedrichshafen on the show's last day. As project leader Roland Bosch said, "We are continuing the success story of Count Zegbppelin. Zeppelin built the world's largest airships in Friedrichshafen, and 100 years later we are organizing the world's largest and most important show for general aviation." 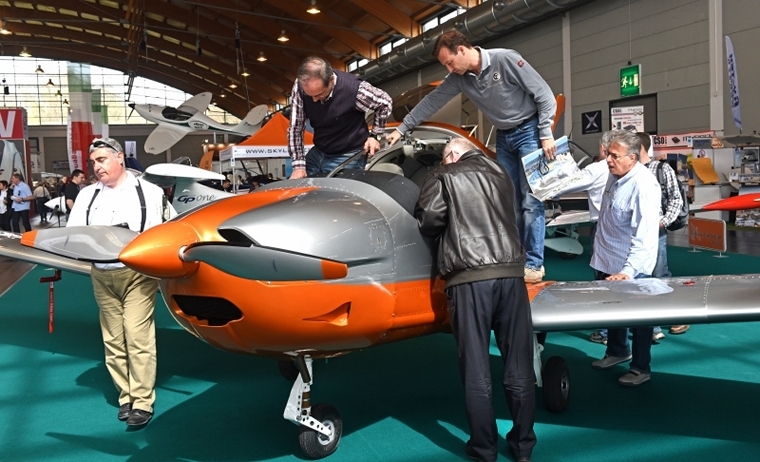 This is demonstrated not only by the exhibitor and visitor records, but also the high quality of the machines and aircraft exhibited at the show. 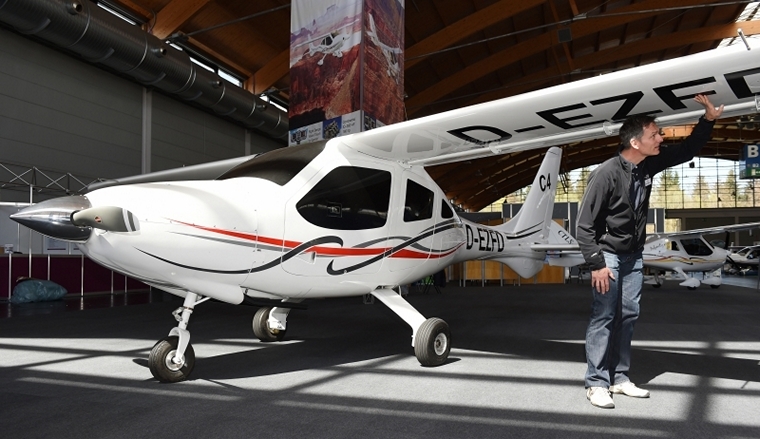 "Whether it be high-tech sailplanes or exclusive business jets, with the arrival of the first mass-produced electric aircraft available for sale at the AERO, attention has now turned to sustainability in aviation", Roland Bosch explained. Piper Aircraft announced today that its team member, Technify Motors GmbH, a German based member of the Continental Motors Group, has received validation approval from the Federal Aviation Administration (FAA) for their European Aviation Safety Agency (EASA) supplemental type certificate in support of the new diesel trainer option, the Archer DX. Siemens researchers have developed a new type of electric motor that, with a weight of just 50 kilograms, delivers a continuous output of about 260 kilowatts - five times more than comparable drive systems. The motor has been specially designed for use in aircraft. Thanks to its record-setting power-to-weight ratio, larger aircraft with takeoff weights of up to two tons will now be able to use electric drives for the first time. To implement the world-record motor, Siemens' experts scrutinized all the components of previous motors and optimized them up to their technical limits. New simulation techniques and sophisticated lightweight construction enabled the drive system to achieve a unique weight-to-performance ratio of five kilowatts (kW) per kilogram (kg). The electric motors of comparable strength that are used in industrial applications deliver less than one kW per kg. The performance of the drive systems used in electric vehicles is about two kW per kg. 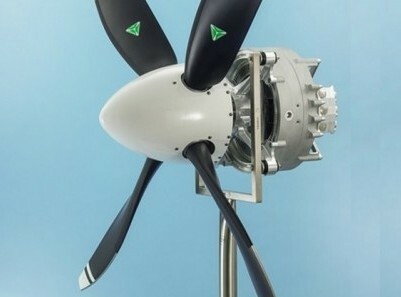 Since the new motor delivers its record-setting performance at rotational speeds of just 2,500 revolutions per minute, it can drive propellers directly, without the use of a transmission. 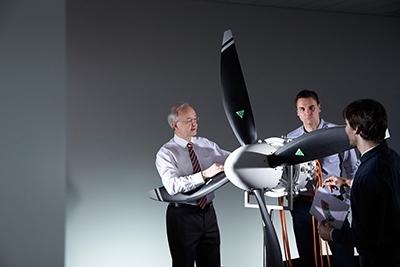 "This innovation will make it possible to build series hybrid-electric aircraft with four or more seats," said Frank Anton, Head of eAircraft at Siemens Corporate Technology, the company's central research unit. The motor is scheduled to begin flight-testing before the end of 2015. In the next step, the Siemens researchers will boost output further. "We're convinced that the use of hybrid-electric drives in regional airliners with 50 to 100 passengers is a real medium-term possibility," said Anton. 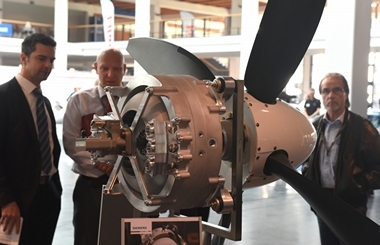 The development of this motor was supported by the German Aviation Research Program LuFo in a project of Grob Aircraft and Siemens. 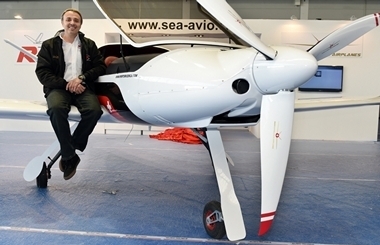 In 2013, Siemens, Airbus and Diamond Aircraft successfully flight-tested a series hybrid-electric drive in a DA36 E-Star 2 motor glider for the first time. The test aircraft had a power output of 60 kW. After a fifth participation at the Heli-Expo in the United States, Marenco Swisshelicopter is pleased to announce the signature of 13x additional letters of intent for the SKYe SH09 helicopter, reaching a total of 72x units in the order-book, with deliveries ranging from 2016 and onwards. Part of these orders are destined to commercial operators on the American markets for operations ranging from Heli-Taxi in South America to charter and sightseeing in the USA. 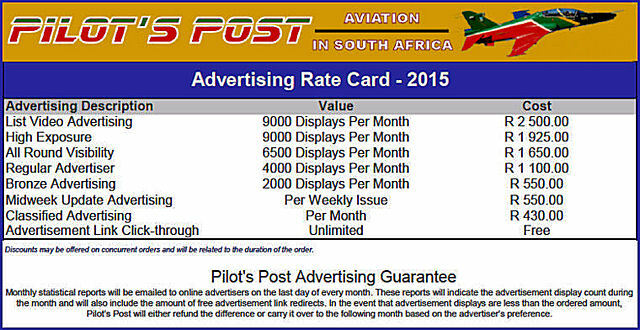 The remaining orders are spread throughout the world and include the announced first sale to a professional charter and training operator in South Africa. 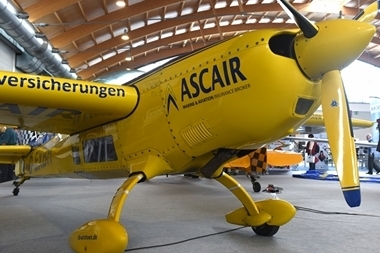 During the Heli-Expo in Orlando, the team of Marenco Swisshelicopter reported the result of the teamwork and accomplishments that were performed in 2014 and which lead to the achievement of the first flight as well as the start of the intensive flight test campaign that is now being actively pursued. 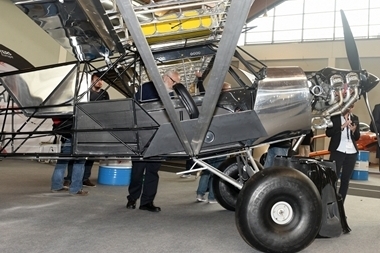 With the presentation of a modified full carbon 1:1 mock-up of the SKYe SH09, the Marenco Swisshelicopter booth was a point of attraction on the show. The aircraft embodied the latest modifications with the High visibility cockpit and new floor windows as well as the instrument panel that was developed and installed on the flying prototype. The aircraft was displayed in bright and dynamic colours and generated positive response with confirmed interest from operators and helicopter users around the globe. Bruno Gubser, Marenco Swisshelicopter Chief Operating Officer also reports having reached milestone discussions and agreements with the advance selection of HONEYWELL, SAGEM and TENCATE as key suppliers in preparation of the serial production of the SKYe SH09 helicopter and for respectively the helicopter HTS 900-2 turbine, the ICDS-8A Glass Cockpit suite and the TC250 epoxy resin system. � Airbus Helicopters A new version of the twin-engine EC145 rotorcraft has received its type certificate from the European Aviation Safety Agency. The EC145 (formerly known as EC145e) has been developed by Airbus Helicopters to offer a highly efficient and cost-effective solution for utility users. "By offering a multi-role helicopter configured with a basic cabin layout and mission-tailored systems, the EC145 meets the needs of utility and commercial operators, while being highly competitive in price and available with reduced delivery times," said Manfred Merk, who is Head of the H145 program at Airbus Helicopters. The weight of the EC145 has been reduced through removal of such items as the automatic flight control system and the replacement of conventional cockpit instruments by Garmin's G500H avionics suite with dual electronic flight displays. The EC145 is well adapted for a full range of utility duties, from passenger transport and aerial fire fighting to airlift missions with both internal and external loads. Following its first flight in August 2013, the no. 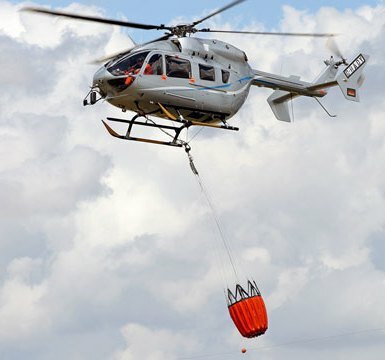 1 EC145 confirmed its capabilities - including during firefighting demonstrations in Spain. The EC145 for utility missions enlarges the Airbus Helicopters' H145 family, from which more than 700 rotorcraft are in service. It is the perfect complement to the next generation helicopter H145, which Airbus Helicopters debuted on the market in summer 2014. With some 120 customers in 44 countries and 1 million flight hours accumulated, the /H145 offers flexibility and versatility in worldwide operations. 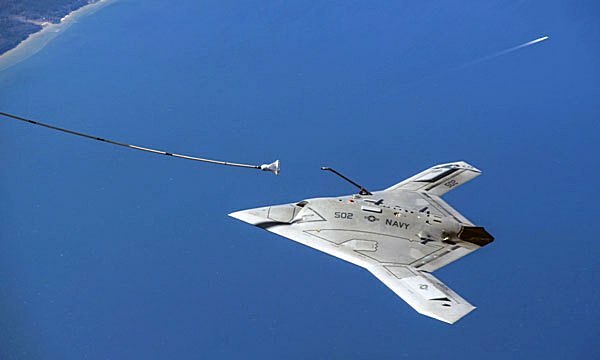 Northrop Grumman Corporation and the U.S. Navy successfully demonstrated fully autonomous aerial refuelling (AAR) with the X-47B Unmanned Combat Air System Demonstration (UCAS-D) aircraft today, marking the first time in history that an unmanned aircraft has refuelled in-flight. This is another historic aviation milestone for the X-47B, which in 2013 became the first unmanned aircraft to autonomously launch from and recover aboard an aircraft carrier. In combination, these landmark demonstrations constitute a major step forward in autonomy that has application in both manned and unmanned aircraft. Autonomous launch, recovery and refuelling have the potential for reducing operational costs in the future. "AAR testing with the X-47B helps solidify the concept that future unmanned aircraft can perform standard missions like aerial refuelling and operate seamlessly with manned aircraft as part of the Carrier Air Wing," said Capt. Beau Duarte, the Navy's Unmanned Carrier Aviation program manager. During the probe and drogue (or "Navy-style") AAR demonstration, the X-47B performed a close formation flight rendezvous with an Omega K-707 tanker. Upon clearance from the tanker crew, the X-47B maneuvererd into position behind the K-707 and successfully engaged the drogue. On completion of the refuelling, the X-47B autonomously disengaged the drogue and maneuvererd away from the tanker before returning to base. "We are very pleased with the outcome of this first round of probe and drogue flights with the X-47B," said Pablo Gonzalez, UCAS-D program manager, Northrop Grumman Aerospace Systems. "The AAR system and X-47B both performed as expected. While we would certainly benefit from additional probe and drogue flight testing, we have reached a tipping point at which AAR is now feasible." Northrop Grumman began developing AAR technology for both Navy and Air Force application nearly a decade ago, pioneering a "hybrid" approach that integrates both GPS and infrared imaging to enhance navigational precision and hedge against GPS disruption. Initial UCAS-D flight testing began in 2012 using a manned Learjet as a surrogate for the X-47B. These successful proof-of-concept flights demonstrated the overall feasibility of the X-47B AAR system and helped refine its navigation, command and control, and infrared sensor processing components. Northrop Grumman is the Navy's UCAS-D prime contractor. The UCAS-D industry team includes Lockheed Martin, Pratt & Whitney, GKN Aerospace, Eaton, General Electric, UTC Aerospace Systems, Dell, Honeywell, Moog, Wind River, Parker Aerospace, Sargent Aerospace & Defence, and Rockwell Collins.